I’ve always been a fan of giving praise where praise is due. I admire certain people in the vast artistic- and creative industry, and I can only hope that I’m on the type of quality professional, that my work and ethics would be admirable too. 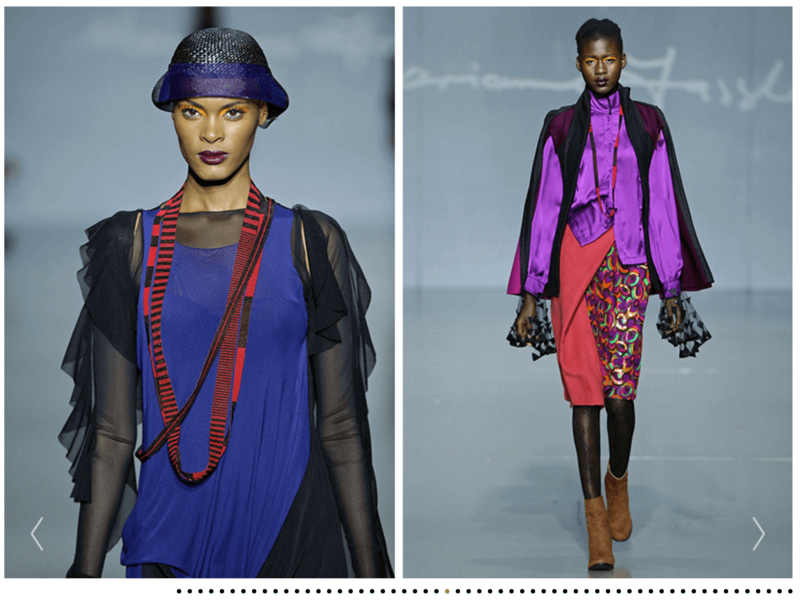 Marianne Fassler is just amazing, and has been for decades. She knows South Africa’s fashion scene very well, and still produces such amazing work that rules the South African runways. 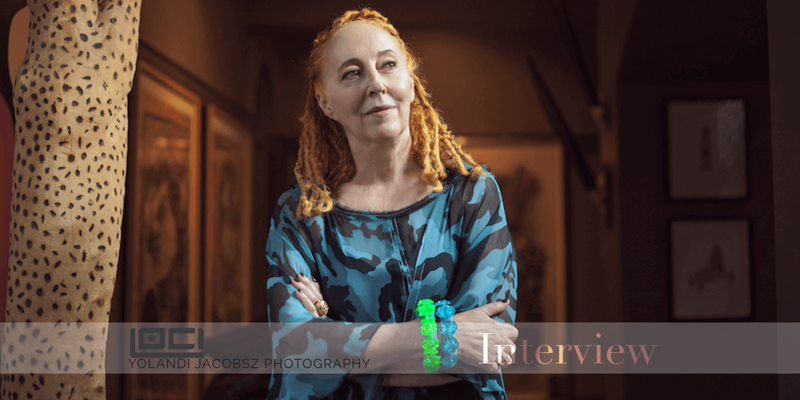 I am so interested in her work, and her way of thinking and was able to ask her some questions which she answered for me. It found me in an odd way. I was studying art at Wits, and I realized I was never meant to put oil on canvass. While exploring the interesting options and taking part in protest action at Wits in the early 1970’s, I found my groove. I was making funky mini skirts for fellow students and loved this. I think it is perfectly obvious that it is a passionate passion. I get up every day ready to work. There are never enough hours in the day or days in a year to do everything we want to do. So many great dresses remain unmade! Would you say you run with a pack in regards to competition, or are you marching to your own beat? What IS competition to you, does it even exist for you? I was hoping this would be self evident. I am not really interested in ‘Fashion’, I find ‘fashion people’ rather vacuous. Yet, having said that, fashion as it manifests itself as a response to social media or current affairs, is fascinating. I love looking for moments of brilliance…like Julius Malema with his red beret and the maids uniforms. That is Fashion in action..just like Kim Kardashian is a reflection of the current preoccupation with social media. I think she is brilliant in the way she has embraced her curves and empowered many ‘real women’ to embrace their own bodies. Would you like to still be doing what you’re doing until the end of time? This is a mouthful. When does one stop being creative. Is there an age limit to creativity? Reinvention is the source of creativity. Picasso constantly challenged the way he approached art and I constantly re-invent what I do…same same but different. I would hope that my work evolves and changes. I would be a very depressed dressmaker if this was not the case. Is art alive still, in the way you would like for it to be? What future does it have? What place does art hold in fashion design? I collaborate every day. Leopard Frock is a creative workshop where everybody’s opinion matters. It takes a team to apply their specific skill to the completion of a project. We collaborate with artists, choreographers , photographers and stylists. Fashion does not exist in a vacuum. The current creative climate in this country is very exciting. I attend the Design Indaba every year and am always amazed at the quality of local speakers. Somehow they are less pretentious, more practical and way more interesting than the European designers who contemplate their navels for far too long. The Japanese designers also have a feeling of intense over analysis. I think the entire Southern Hemisphere is literally bursting with energy and creativity at the moment, and even if other people don’t agree, I certainly find them more interesting. Be kind, less judgmental and please don’t look for inspiration on the internet…worst of all on Pinterest! 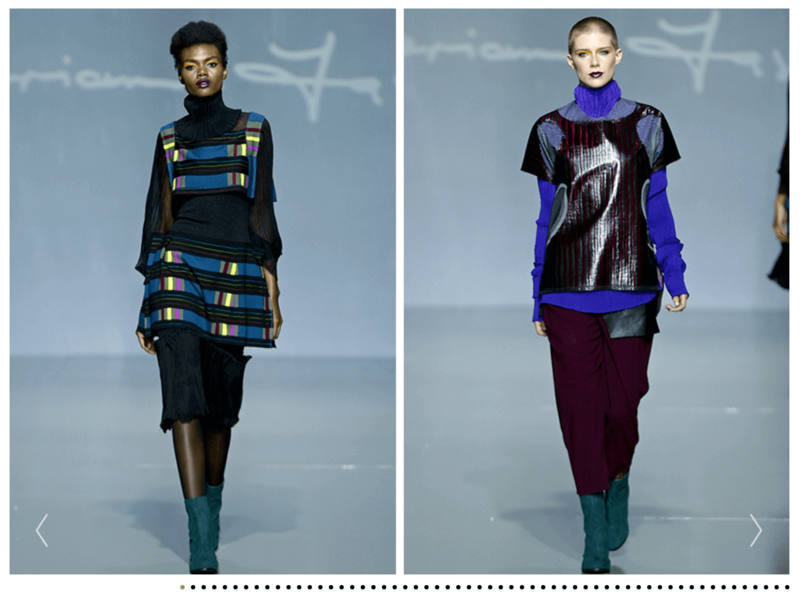 Thank you sincerely and severely Marianne Fassler!! Author of header image unknown, unless otherwise stated, or if they come forth.